If you're implementing the widget in demo mode, you can skip this step. If you've purchased the widget, you will have received a registration code. 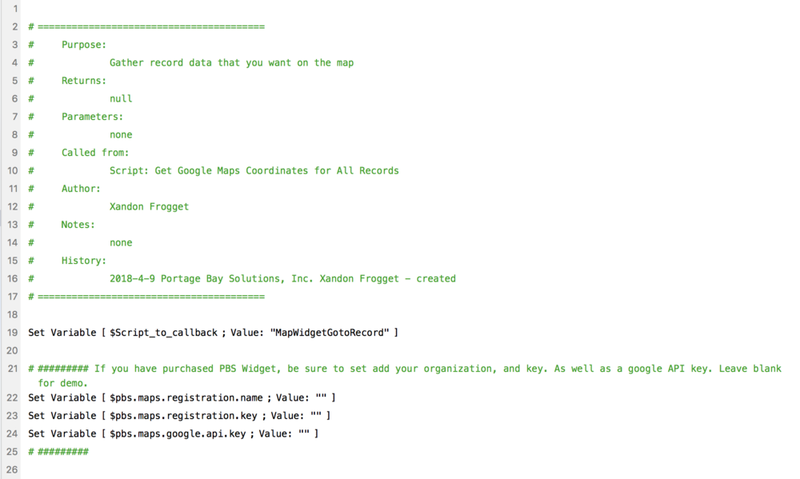 Your registration name and key should be entered in line's 22 and 23 of the Map_Widget script (see below). Blank values are passed in these variables when the widget is in demo mode. If you leave the API key blank, the widget will show the Google map in their demo mode, which will impose a demo watermark on the map display.